Dr. Sebastian Gorka, the keynote speaker who will address a standing room only audience at the Freedom Leadership Conference tomorrow (Wed. 9/14) evening in Fair Lakes, Virginia, documented on Fox TV’s Sean Hannity Show this past Friday how the ISIS terrorist threat to America has literally doubled in the past two years of the Obama Administration. We are only going to grasp reality and defeat this enemy, he says, if we have leaders with backbone willing to confront this threat, every much the same existential and evil threat to America today as was the Nazis of World War II. Why don’t our leaders stand up to ISIS in this world war against the United States which is killing Americans on our own soil, asks Dr. Gorka? Because they are “secular modernists,” he explained the Hannity Fox TV segment this past Friday, people who believe that America is just as bad and evil as any other country on earth. Watch the entire 4 minutes video on our Freedom Leadership Conference youtube channel HERE. 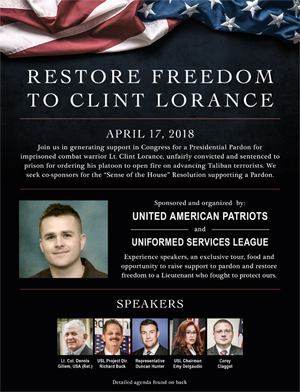 An entire one hour has been reserved for Dr. Gorka’s presentation, sponsored by United States Intelligence Council and Secure America Alliance. At press time we have actually sold out of the VIP dinner tickets with Dr. Gorka but we have two tickets remaining for the Host Committee ($100) seats and one Honorary Conference Chairman seat ($250) at the table with Dr Gorka. The Conference is at the Marriott Residence Inn, 12815 Fair Lakes Parkway, Fair Lakes, VA, with dinner starting 5:30 PM (doors open 5 PM), and the conference starting at 7 PM (doors open 6:30 PM). Incredibly, with this sell out, we have 6 of the people on our waiting list for the free conference tickets (suggested $5 donation at the door to help pay for room rental) who have NOT REPLIED. We do not know if they have just not checked their email in the past 24 hours but we cannot wait. We have therefore erased their special reservation status and we hereby announce and give notice that the first six people who go to our Eventbrite website to reserve these six seats will be given reserved (and free) seating to hear Dr. Gorka tomorrow night. The Eventbrite reservation page is set to automatically STOP after six people have made reservations (no more than 2 tickets per person). The Wednesday evening VIP dinner with Dr. Gorka sold out this past Friday – for the first time in conference history five days in advance of the event – and the leftover free tickets were then released to the waiting list. There are now six unclaimed seats. Dr. Gorka is a world-renowned expert on the ISIS terrorist threat and “irregular warfare” and regularly appears on Fox TV and also has been an advisor to the GOP nominee for President, Donald J. Trump. He maintains what has been called a “treasure trove” of information about ISIS and the threat to the United States at his website, The Gorka Briefing. His new book, Defeating Jihad, The Winnable War, will be available for purchase and autographing at the Freedom Leadership Conference tomorrow evening and is also available through his website or at Amazon.